An ongoing series chronicling the production (pre, shoot, and post) of our new movie Kim. 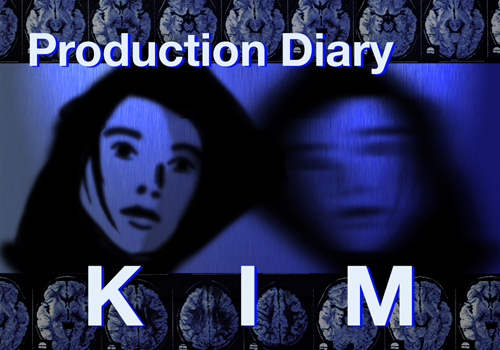 This is the first post in what will be an ongoing diary of the production of our new movie, Kim, from pre-production, through the shoot and post-production. We’re very much at the beginning of the pre-production stage right now, so it’s a perfect time to start a production journal. We’ve got our script, an 80-page feature. We’ve assembled a great team: myself (Bob) as Writer/Director, Producer Leeah Odom, Composer Lenny Gonzalez, Cinematographer Matthew Boyd, and Production Designer Elle Kunnos de Voss. We have a website for the film that we will continue to develop as the production evolves. At this point, we’ve identified four key areas that we need to focus on. 1. Finalizing our budget and business plan, so we can start up our fundraising push. 2. Finding a location for the shoot. 3. Beginning to search for and audition the cast. 4. Create awareness and buzz about the project. More on each of these as the weeks go by. In the meantime, I hope you enjoy these insights and behind the scenes peek at the nuts and bolts of film production.